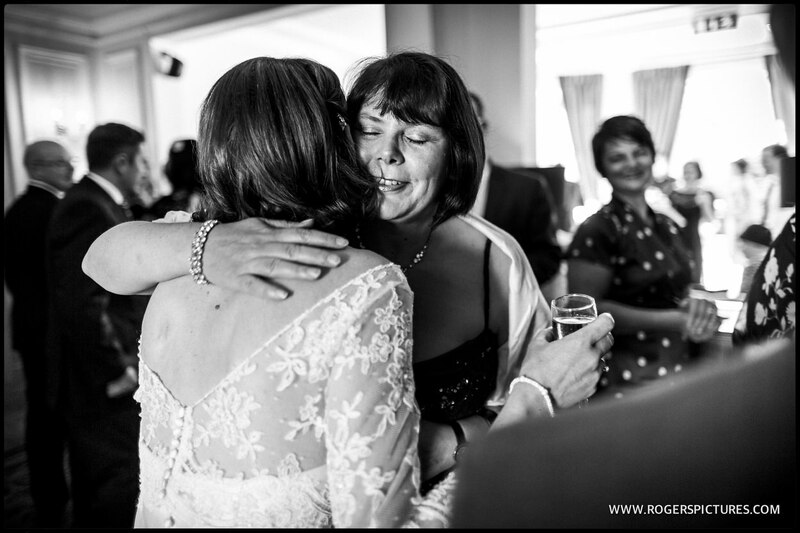 This was my first time providing Gorse Hill Wedding photography. 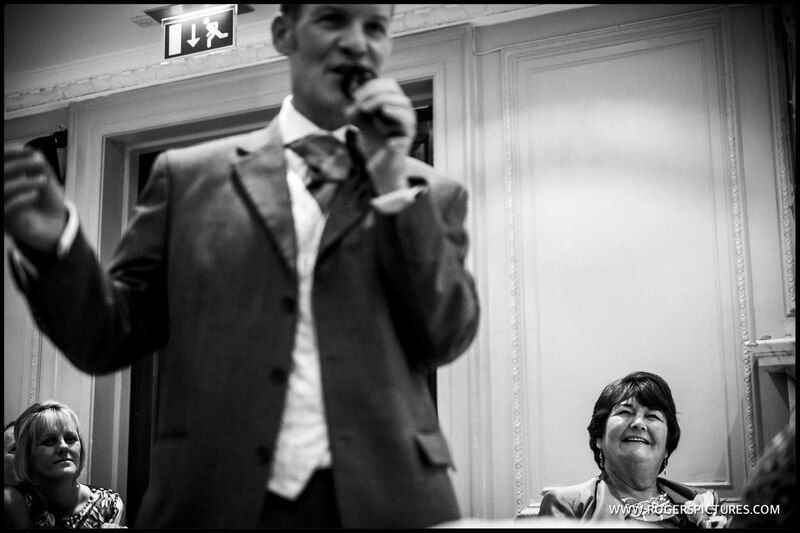 Being a Times reader, Nicky had enjoyed some of the editorial photography on the website as well as my wedding portfolio. 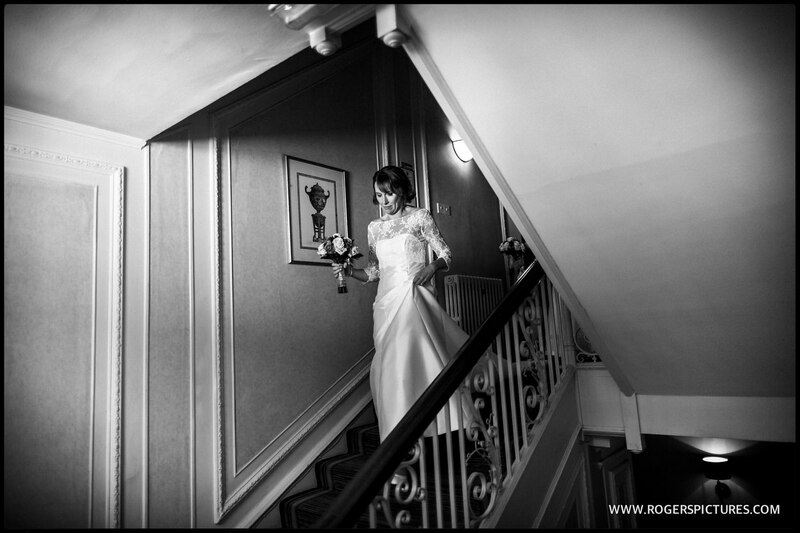 So I was very pleased to be photographing at a new venue to me, during a fabulous Autumn day last year. 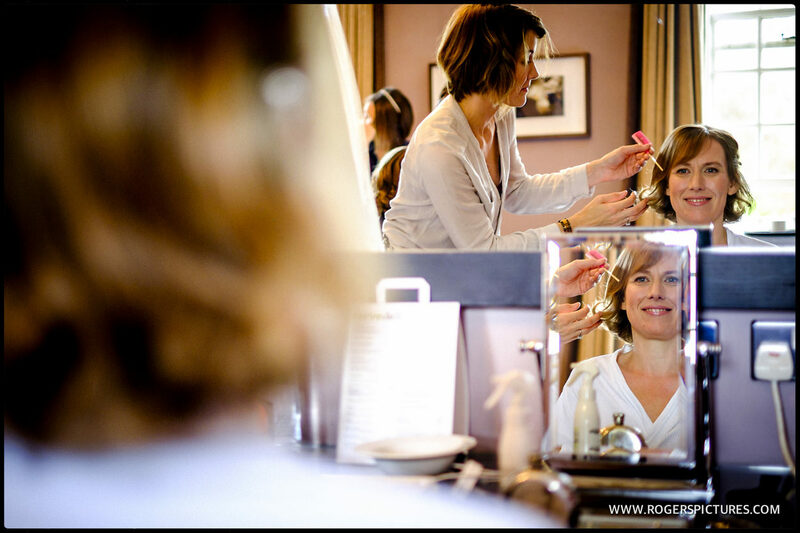 Gorse Hill Hotel is an ideal wedding venue for a couple who like to keep all parts of the day in one place. 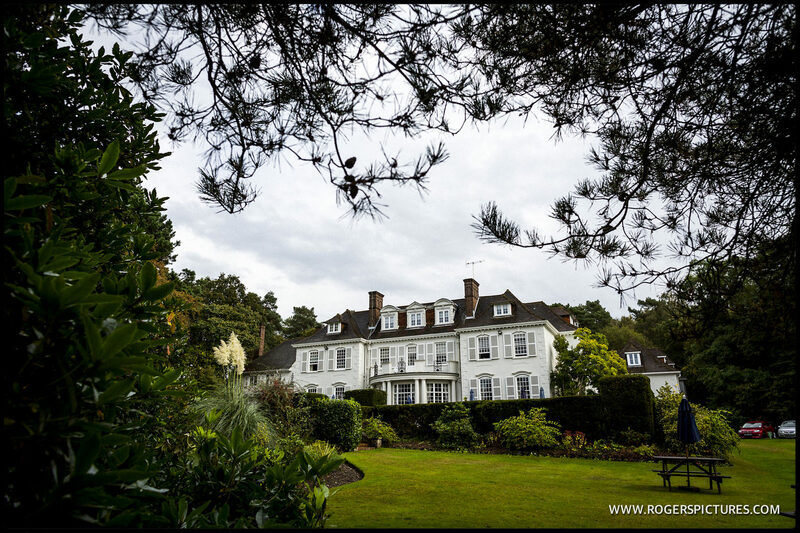 An elegant country mansion, the hotel is in the heart of Surrey – convenient enough for guests travelling from London, but far enough away to feel like a country getaway. 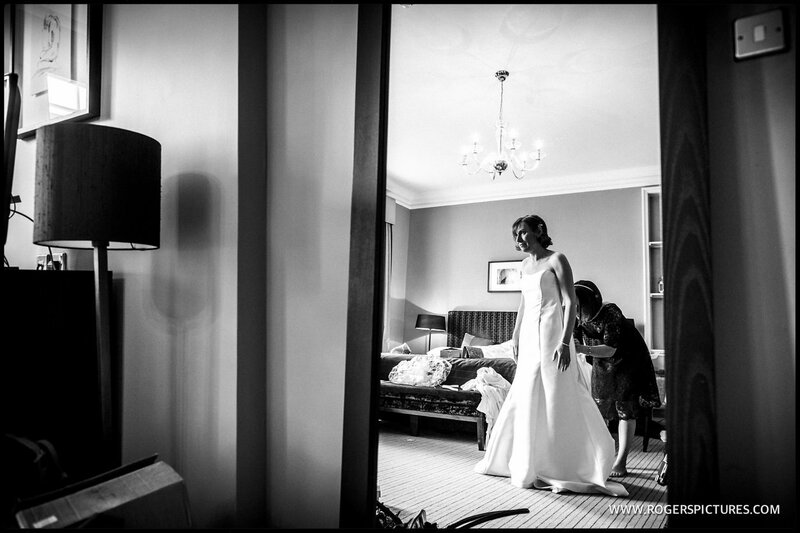 I began my coverage with Nicky’s preparations at the hotel, having met Eugene and his best man relaxing in the bar waiting to greet any early guests. 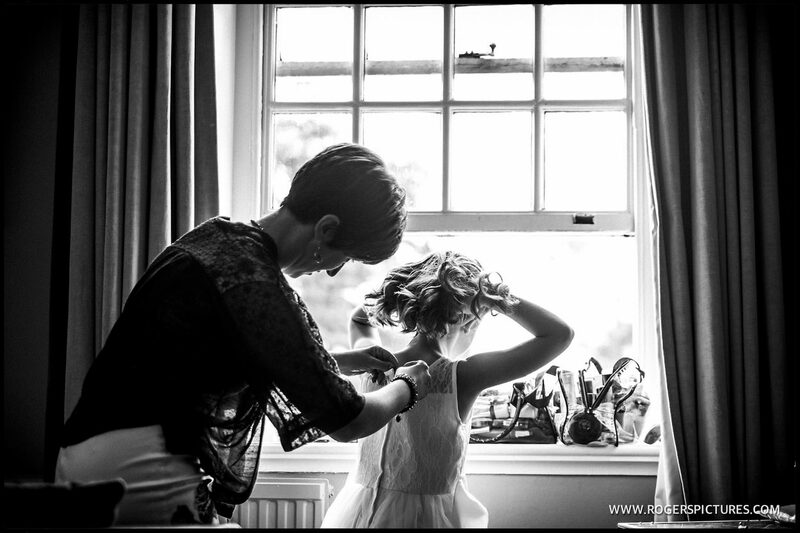 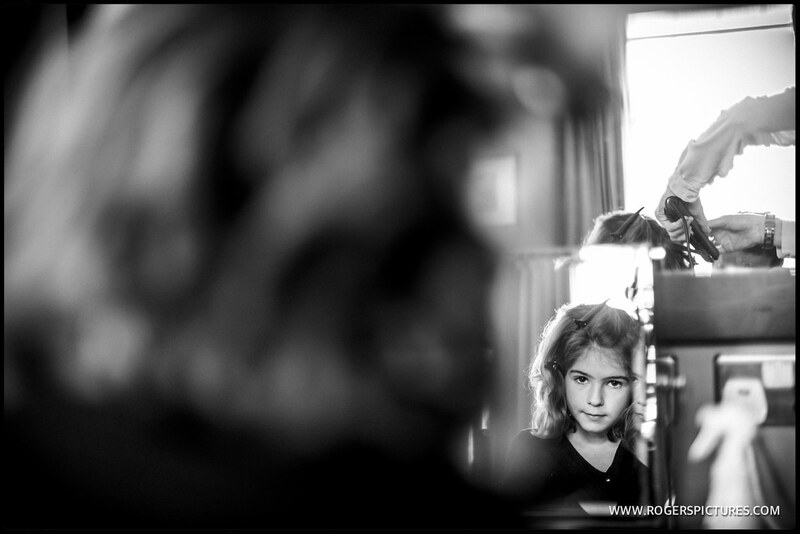 There was some lovely light in Nicky’s South facing room where she was getting ready with her sister and flower girl. 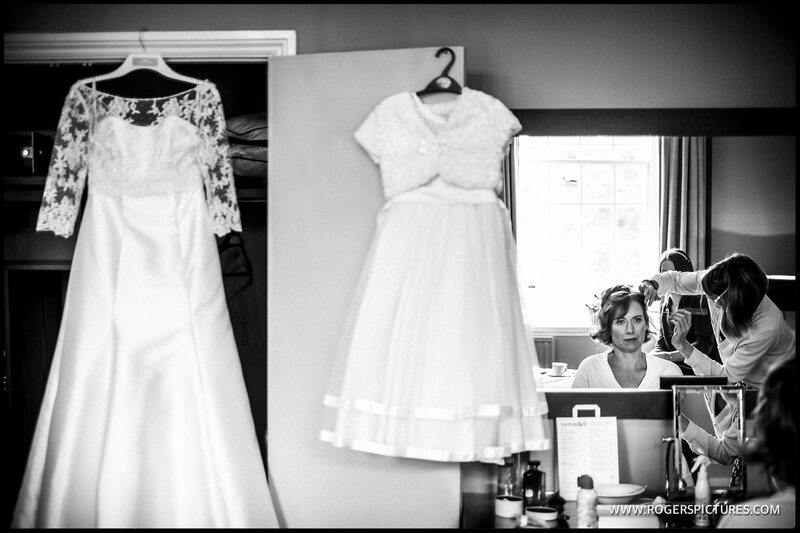 Downstairs, the ceremony room was filling up and I had a chance to photograph Eugene and the guests while Nicky was meeting with the Registrars. 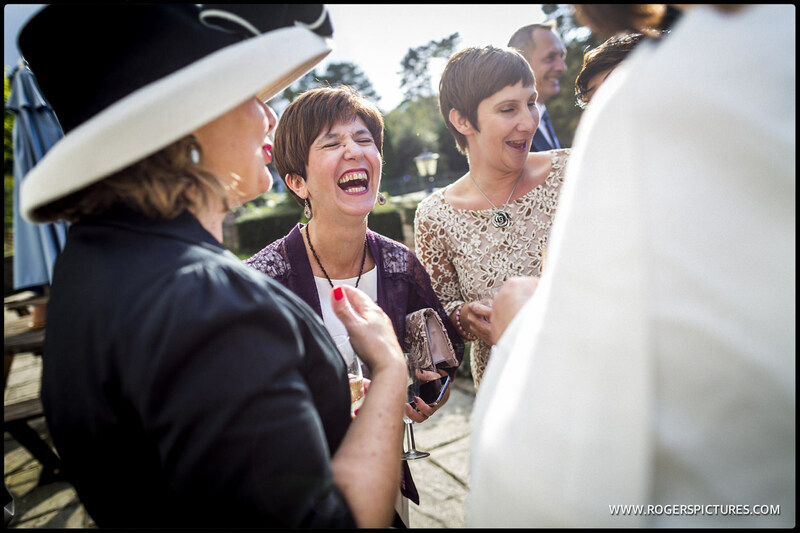 After a lovely ceremony, the guests filed out onto the terrace to enjoy some Autumn sunshine and champagne. 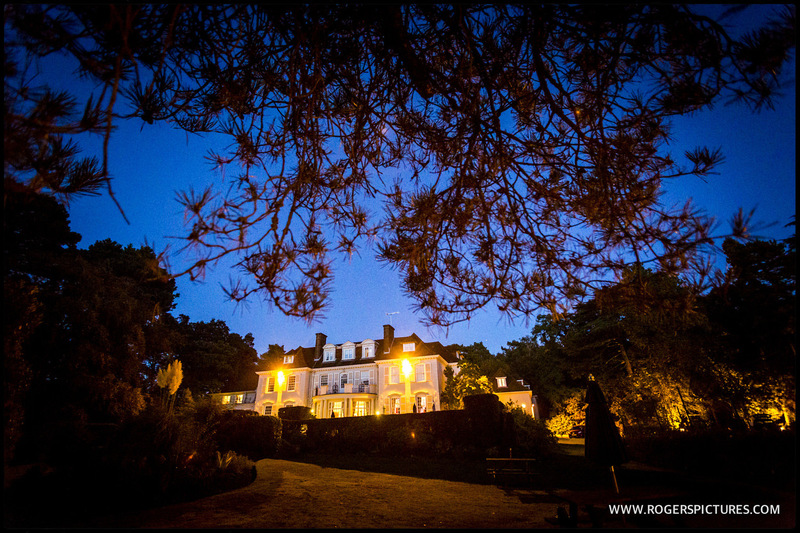 We headed out into the gardens for a quick portrait session, using some great pine trees in the grounds, before returning for the wedding breakfast and dancing. 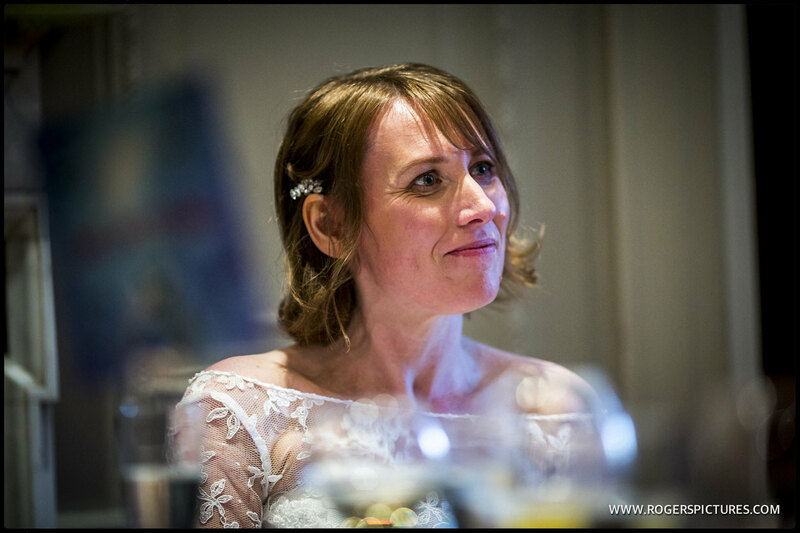 If you’re interested in some Gorse Hill wedding photography and you like these pictures, then send me an email to check if I’m still available on your date, and to get some pricing information.